Portuguese fado (tr: “fate”) is one of those distinctive forms of music that is easy to recognise but hard to understand unless you know the language, which I don’t. But on a visit to the Museu do Fado in Lisbon recently, I learnt enough to make some sense of it. The Portuguese word that’s associated with fado is saudade, one of those more-or-less untranslatable words that means – inexactly – something like “longing,” one of those emotions that resonates through cultures where people have migrated through choice or through necessity. In terms of the music’s early history, it seems to be most similar to the blues. It was brought to Portugal from Brazil in the early 19th century, when Brazil was still a colony and important enough to host the Portuguese royal family’s exile during Napoleon’s Iberian campaigns. When I see you again, I still cry (x2). Then, of course, came the dictatorship of Salazar, the longest in 20th century Europe. Rather than try to stamp out fado he chose to co-opt it. Under the decrees of 1927, performers and venues had to be licensed, and lyrics cleared in advance by the censor. No more improvisation. In one particular way, public recognition helped. Amália, the most influential of fado singers, popularise the music globally, touring widely to places as far afield as the USSR, Japan, Israel, and South Africa, as well as the United States. The result was that fado became identified with Salazar’s Portugal and Salazar’s regime – so much so that it was banned for two years after the “Carnation” revolution in 1974. 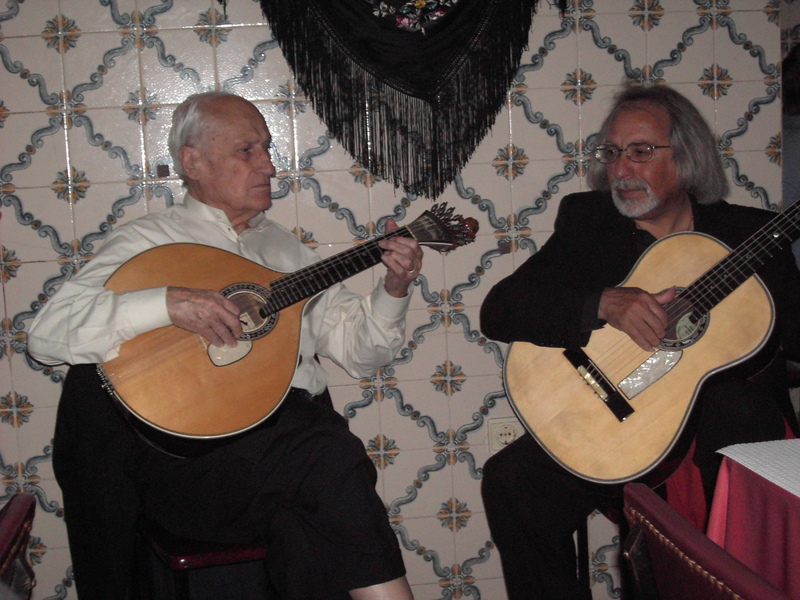 Although it survived this, there followed a period when fado went into cultural decline, perhaps because it was associated with older people, an older inward-looking Portugal, and perhaps also the old regime. It took the emergence of Mariza, fado‘s second global star, to refresh the music, modernising it and taking it to new younger audiences. 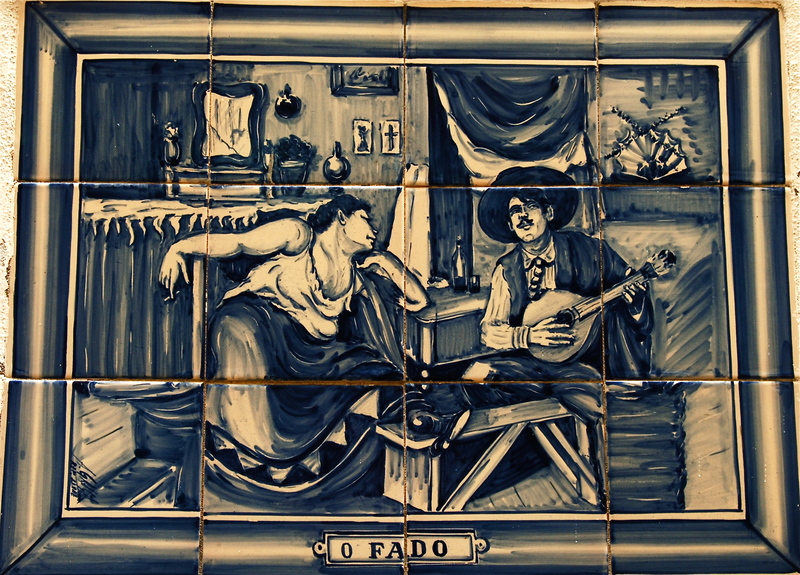 But at its core, fado – at least the Lisbon version – remains simple to perform: a singer, male or female, backed by two guitarists, one playing a European acoustic guitar (apparently brought to Portugal by English expats in 19th century Lisbon and Porto) and one playing a lute-like instrument derived from the Moors, who have a history in Portugal. This is the version you’ll hear in the clubs and restaurants which play the music in Lisbon. We listened to some live fado in Maria da Fonte’s small fado restaurant off the Largo do Chafariz de Dentro, with three singers performing during the meal. There are miserable reviews on Tripadvisor, which I’m not going to link to here, since they seem to be written by Americans complaining that (although they were clearly in a fado restaurant in Lisbon’s fado district) they were expected to be quiet when the singers were performing. I’ll skip the obvious point about checking on the rules when you’re in someone else’s culture, but one of the things I hate most about Tripadvisor is that the niggly reviews always float to the top, no matter how unrepresentative they are of the experience. We had a decent meal at a reasonable price, and the music we heard was good. And fado is, at heart, an intimate experience and a live one. It is not without significance that in the course I took to master the Portuguese language, fado is somehow the final destination: after you have struggled your way through all the many tenses, the last exercise of the book is the translation of a fado, as if to show to yourself just how deeply you have penetrated the Portuguese sense of Being. At the time of her death, Amália was an icon of this Portugal. The queen of fado is hailed as ‘the link between the soul of Portugal and the hearts of all the Portuguese’ (a ligagao entre a alma de Portugal e o coragao de todos os Portugueses), ‘national unanimity’ (unanimidade national) or ‘the complete symbol of a country and a city’ (um simbolo máximo de umpais e de uma cidade). The images are Creative Commons images courtesy of Wikimedia. “Of course there’s the co-option of a cultural artefact by an ascendant regime (although this is maybe more Walter Benjamin – no element of the past will be safe from the victors etc…). However, I think there’s something else interesting. It’s about what the fado voice, which is really striking, might be doing for the people. And I’m thinking particularly of its use in the 19th century, when you say it may have been a working class vehicle and even possibly ‘transgressive’.